Angela Perley returns to Natalie’s for Two Nights of Love!, back-to-back shows on consecutive nights that will celebrate Valentine’s Day! Armed with electric guitars, swooning vocals, and songs that split the difference between rock & roll and dreamy psychedelia, the midwestern four-piece comprised of Angela Perley (vocals, electric guitar and sometimes musical saw), Chris Connor (lead guitar), Billy Zehnal (bass) and a rotating team of drummers for live shows, have released five EPs and two full length albums. Performing over 120 shows a year, the band has built a slow and steady grass-roots following. 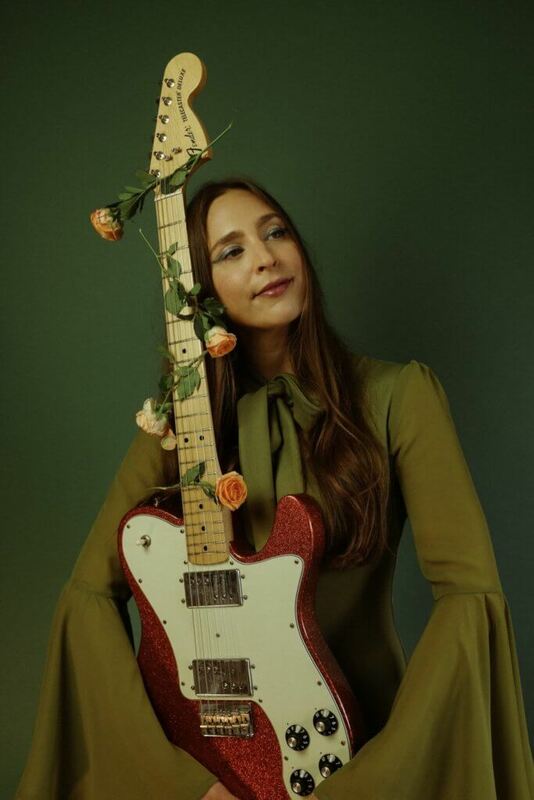 Angela is currently working on her third studio album, and recently released a live in-studio EP of songs, Stereogram Sessions, which features extended and alternate versions of previously recorded songs.